Imagine waking up every morning feeling like you can take on the world. How great does that feel? Pretty great and an attainable goal, but the reality is that at times life takes twists and turns which can leave us with worries, frustrations and conflicts. These can pile up and prevent us from accessing our built-in ability to live a purposeful, joyful life. That's where I come in. 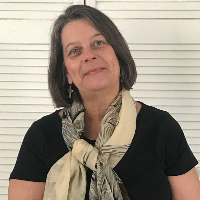 I'm Carol Costner, a licensed professional counselor with over 14 years of experience working with people who have shared with me a broad range of problems. I always knew I wanted to work in the helping profession and pursued that out of high school by attending the University of Alabama in Birmingham, graduating with a Bachelor's degree in nursing. My work began in helping alleviate the physical suffering of those I was honored to serve in hospital settings. After a while, I returned to school and graduated with a Master's degree in Community Counseling from Jacksonville State University, earning my counseling license and my national certification as a counselor. I began working in a variety of settings with clients who suffered emotionally and relationally with both diagnosed and undiagnosed mental health issues. My counseling style is client-centered, which simply means that you are the best expert on yourself. I will depend on you to share with me your own self assessment as a place to begin. I use a combination of solution-focused therapy, mindfulness, cognitive behavioral and narrative therapy techniques. I employ a whole-person integrated approach to wellness, using empathy while also being direct. This approach helps my clients avoid being too hard on themselves while also owning responsibility for change. Everyone will not fit into one method of therapy so I tailor my efforts toward what fits you best. I believe that we all have within us an internal compass--the ability to find our way. I would love the opportunity to assist you in accessing that compass and finding your way through whatever you are currently facing. I promise that I will give you my utmost best as we travel the journey to wellness and wholeness together. If you're looking for change and relief from distressing emotions, I would be delighted to join with you in a journey toward a more abundant life. Carol is one of the best counselors I have ever had because she makes me feel heard. She also is very knowledgeable about treatment techniques. I appreciate the time and effort she puts into all of our interactions. Ms. Carol is great! She so understand and provides me with helpful information. I struggle with depression a times but after getting counseling from her, it has helped me in so many ways! Carol is patient, listens actively, and helps you get to the heart of the matters you bring to her. She coached me through a difficult time. With each phone call and video chat, as well as the articles and worksheets she assigned I grew stronger and felt less burdened by overwhelming thoughts week after week. She was genuinely interested in helping me achieve my personal goals and identified other character traits and habits I needed to work on. I would highly recommend her as a therapist. Excellent counselor! Uses research based strategies to inform the client. Carol is the most amazing person I have ever met. She has helped guide me to a new season of my life. I’m a new version of myself. I have never been happier. I have never stayed with therapy before. When Carol hinted that it might be time to “graduate” to an as needed session, I felt like a kid losing their security blanket. She has changed my life! Carol Costner is great and had helped m through one of the hardest times in my life. She has personal experience with anxiety because of her daughter and that makes me feel like she doesn’t judge me and I can be open with her. She’s always available when I need her.